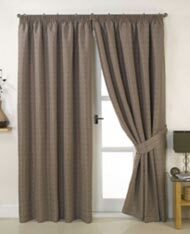 Our curtains and blinds are high quality and available in many colours, textures, patterns and weaves. Vertical blinds are a classic and popular blind for function and versatility, available in a wide selection of fabrics and styles. 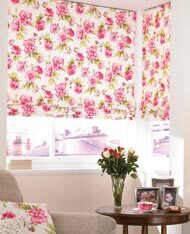 Many fabrics co-ordinate or match the rollers collection for added opportunity. Find out how we can transform your space by contacting us today. 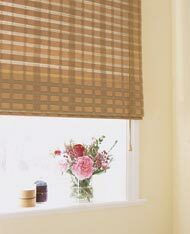 Made to measure roman blinds are fully lined and provide a real alternative to curtains. There is an extensive choice offering different textures, fabrics and weaves. These are also provided in black-out if preferred. 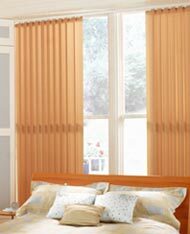 Woodweave blinds are produced from natural renewable sources, including jute, bamboo and poplar wood. 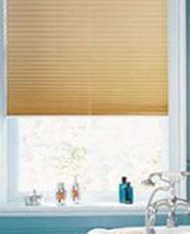 Similar to roman blinds in appearance and operation, woodweave blinds gently filter the light. 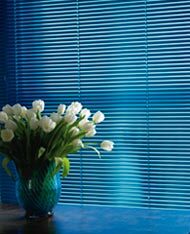 Pleated blinds are perfect for any room not just conservatories. 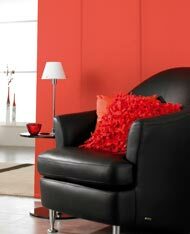 There’s a wide range of patterns, colours and styles to suit any room and all tastes. 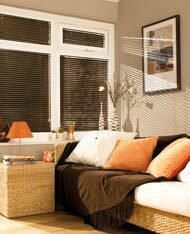 Panel blinds are a modern alternative to traditional vertical blinds. 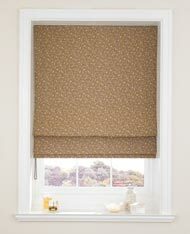 Available in a choice of panel widths, there is a range of fabrics to complement or match our current rollers range. If you are looking for a contemporary look and feel, then panel blinds might just be the answer. Perfect FitTM is a totally unique product that allows a variety of blind types to be fitted to double glazed windows and doors without the need to drill or screw into frames or surrounding plaster work. 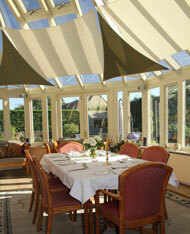 With perfect fit the frames are made to fit the windows or doors and the blinds are made to fit the frames. All shutters are handcrafted to order and are made using only the finest materials. Available in wood and natural painted shades with over 2000 custom colours. 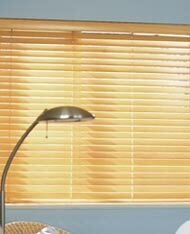 These blinds are supplied in a wide range of performance fabrics including flame retardant, blackout, dimout and solar reflective. Commercial blinds effectively control the light and can be made to fit even the most awkward of windows. 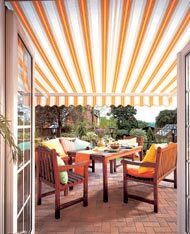 These elegant triangular sails offer the new style in sun shade and you select the right amount of shading required.